The United States Congress has dramatically increased its budget for the Israeli missile defense programs by $148 million, reported the Jerusalem Post, noting that the amount will include ongoing Iron Dome and Arrow 3 development. “I am pleased and excited to announce that the US Congress has approved a record sum for Israel’s missile defense program: $705 million in 2018!” Israeli Defense Minister Avigdor Liberman announced on Monday, reported the daily on its website. According to Israel’s Defense Ministry, the increase of funding was requested for production of the Iron Dome, David’s Sling and Arrow-3 missile defense systems. 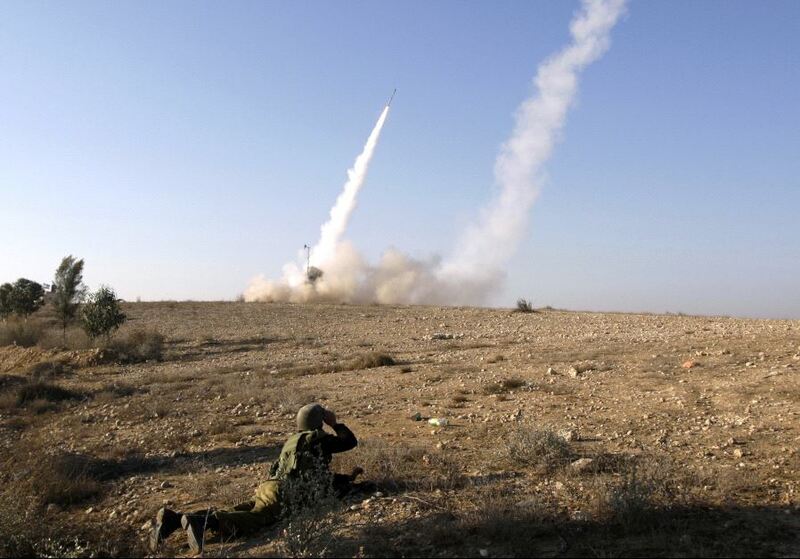 The daily explained that the systems will enable Israel to counter threats posed by both short and mid-range missiles used by Hezbollah from Gaza as well as the threat posed by more sophisticated long-range Iranian ballistic missiles. The increase in the budget will also be used for further trials of all systems as Israel and the US continue to develop additional capabilities for them against future aerial threats. Written by: Jaber Ali on March 26, 2018. Posted by Jaber Ali on Mar 26 2018. Filed under Headlines, World News. You can follow any responses to this entry through the RSS 2.0. Both comments and pings are currently closed.